The mission of LESS is to encourage people to make a commitment to developing their knowledge and skills while also giving back to others through educational activities and service. Become a lifelong learner and seek ways to continue to develop your knowledge and skills. Be a part of an international network that shares these same goals. LESS is about empowerment and community. The more you do, the less there is for others to do, and we could all handle a little LESS on our plates. Set some goals. Make sure that you are clear when you set your goals so that others will be able to tell when you have met them. Examples of well worded goals are here. Post them on our Facebook page. Tweet them with the hash tags #‎LESS‬ or ‪#‎LeadEducateServe‬. 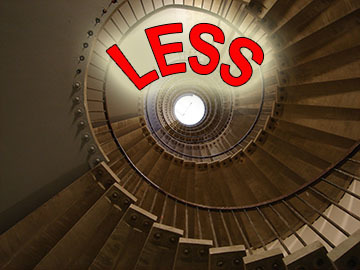 Interact with others about LESS. Spread the word. This is a community, so please invite others to join us. Lead. Continue learning and developing your skills. Be a role model for others. Educate. Share your wisdom with others. Serve . Build your community and become infectious. Report back on your progress. Stay connected and let us know if you need some assistance or motivation. Repeat. Update your goals at least once per year.